Jonas Kaufmann (Don Carlo), Anja Harteros (Elisabetta), Matti Salminen (Filippo II), Thomas Hampson (Rodrigo), Eric Halfvarson (Il Grande Inquisitor), Ecaterina Semenciuk (Eboli), Robert Lloyd (Un fratre), etc. This is Salzburg, the same every year. At least one of the performances is the top of the bill of the festival and is hugely promoted by the media. The recipe is successful, and the most famous example of the recent years is La traviata with Anna Netrebko, which irrevocably promoted the Russian soprano to the status of superstar. 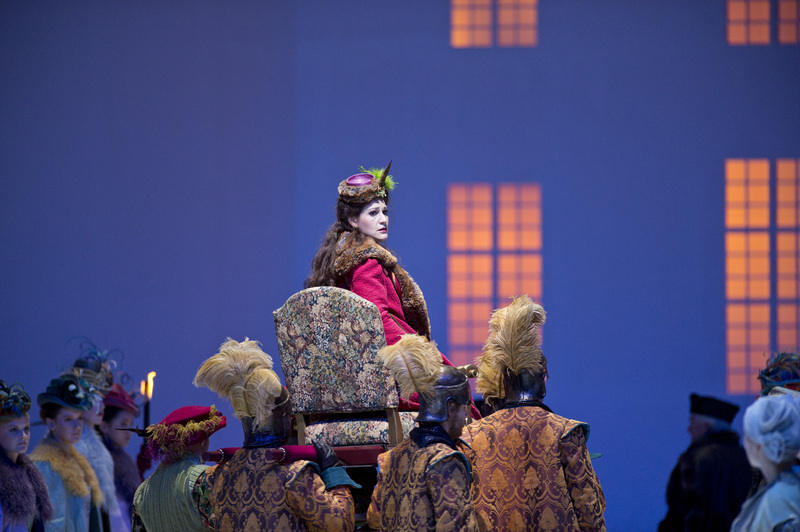 As for Don Carlo, an opera more and more present in the latest 10-15 years on the schedule of the important opera theatres, it returns to the festival after a ten year absence. When opera became mythology, due mainly to LPs, and I am talking about the’50s, Don Carlo was staged more seldom. Maria Callas was Elisabetta di Valois only once and there is no recording of that night, even though her fans are still hoping … Practically, the only absolute references from those times are the live recordings from the Metropolitan (1950, with Jussi Björling) and from the Royal Opera House (1958, with Jon Vickers). Somehow, it is not strange that this 2013 Don Carlo has been mentioned even in the most conservative publications as far as art is concerned, such as Bloomberg or The Financial Times. And this is absolutely extraordinary for the promotion of the opera, as art. 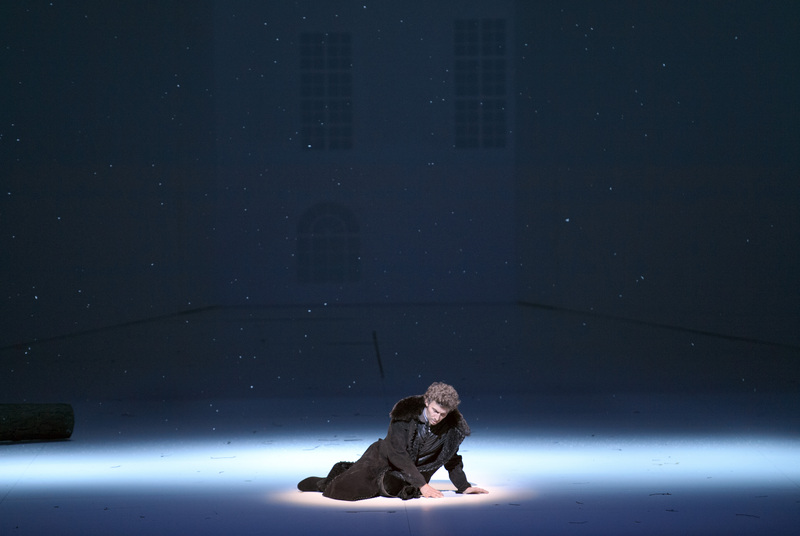 The director is Peter Stein, a German with moderate expression, who, this time, opted for a classical style, somehow unusual for the festival style – as Salzburg has got used to Regientheater for quite a while. I would have liked a modern production, as Verdi`s masterpiece includes, in its videography, only Peter Konwitschny`s staging, from Vienna, which raised quite a lot of comments at that time, but that I liked very much (also for the humour in “Eboli`s dream’’, a smile completely missing from Don Carlo). Therefore, in 2013 we have a pretty conventional stage direction, and even with some elements borrowed (I do not want to say “copied’’) from other directors` performances (Bondy and even Hytner). The costumes were very beautiful, not at all titivated, but elegant in their simplicity, this is the latest fashion. Moreover, the colours of the scenery, more than the stage design itself, were very inspired, watercolour like, not even for one moment gaudy, always toning with the tone on stage. The green of the second act, in the veil song scene, with the water basin on stage (maybe the only bolder idea) or the blue projection in the autodafé scene managed to impose an atmosphere. A little apathetic, but beautiful one. But more than these two, I was waiting to see Thomas Hampson – wondering how much of his Rodrigo, from Châtelet, from 1996, I would find here? There, singing in French, he was miraculous. In Italian, in Salzburg, I did not find him as much as I would have liked. A little cold, a little exaggerated, less inspired, but, on the whole, formidable. Philip II was Matti Salminen, a kind of surprise. First of all, because this part had been “arrested” by Ferruccio Furlaneto for more than ten years and had been severely controlled by the Italian bass. I was wondering who had had enough of this: him or the organisers? There are pros and cons regarding Furlanetto in the part of the Spanish king. An alternative is, therefore, almost a compulsory experiment. It is a pity that Salminen, who is a good bass, is so… old. He knows the part like the back of his hand, but, apart from the forte, everything has become difficult for him. He even floundered a little in Ella giammai m’amo, nothing serious, but enough to prove his limits. Halfvarson, Il Grand` Inquisitor, in his usual style, and here Stein seemed to create the most conventional character, even if, vocally, he was good. Ecaterina Semenciuk wanted to be a revelation, but her Eboli, with both her eyes (the real princess had only one eye), sang at top speed where it was not necessary and athletically where she should have seduced us. A sin of many Eastern singers – and this makes me think frequently about our compatriots, who had “conquered the world” but without leaving any significant discographic proof of their art, because… actually, they conquered nothing else but the national pride. Pappano was ideal. In a trance, as usual, he coloured everything, he whipped the orchestra from Vienna and, most probably in complicity with the organisers, he presented a truly complete version of the opera, with the original scene of the wood cutters in Fontainebleau, and with the ballet in act three, which sets the significance of the veil song, by the exchange of costumes between Eboli and Elisabetta di Valois.